If Timely, A Petitioner Can Receive Increased Partial Disability Benefits for a Prior Injury Even Though Receiving Total Disability Benefits | Golden Rothschild Spagnola Lundell Boylan Garubo & Bell P.C. By: Catherine M. Shiels, Esq. and George J. Renzi, Esq. Recently in Catrambone vs. Bally’s Park Place (A-3589-13T4), the Appellate Decision addressed the issue of whether a Workers’ Compensation Petitioner could receive an increased permanency award for a prior accident while simultaneously receiving total disability benefits in connection with a subsequent claim. The Appellate Division held that a Petitioner already receiving total disability benefits who timely files an Application for Modification, and can prove an increased disability, can receive an increase in a partial total disability benefits. A Notice of Petition for Certification pursuant to R.2:12-3(a) was filed on behalf of the Respondent with the New Jersey Supreme Court, and currently remains pending. In Catrambone, the Petitioner sustained injuries in two separate accidents while employed as a security guard for Bally’s casino. As a result of a 2006 work-related low back injury the Petitioner received an award for 27 ½% partial total and retained his right to re-open the case within two years pursuant to N.J.S.A. 34:15-27 on May 15, 2008. The Petitioner then filed a subsequent Claim Petition stemming from a subsequent 2008 work-related incident in which he claimed to suffer injuries to his neck, left shoulder, and left wrist while working for the same employer. On March 24, 2009, Petitioner filed an application to modify the May 2008 award based on an alleged material worsening of his compensable lower back claim. On March 16, 2010, Petitioner filed a petition to join the Second Injury Fund, alleging that he was “totally and permanently disabled as a as a result of a combination of his pre-existing physical…conditions and his last compensable injury to his left shoulder”. The two claims were resolved contemporaneously on November 29, 2010, whereby the petitioner received an increase in permanent partial disability for his low back from 27 ½% to 30% partial total per Order Approving Settlement. At the same time, an Order for Total Disability was entered awarding the Petitioner 100% total and permanent disability for his left shoulder with Second Injury Fund contribution. The Order for Total Disability deemed the Petitioner totally and permanently disabled as of February 1, 2009 (“date of totality”) with the last accident settling for 33 1/3% of the total award for the injury to the left shoulder. The Second Injury Fund agreed to pay 66 2/3% of the total award, which included Petitioner’s pre-existing medical conditions and his increased award of 30% partial total for his low back injury. Thereafter, on November 14, 2011, Petitioner timely filed an application to modify the November 29, 2010 award based on a material worsening of his compensable low back condition. In opposing Petitioner’s application, Bally’s argued that the Petitioner could not receive an increase in disability because the Order for Total Disability awarded him 100% total permanent disability, for which Petitioner’s low back injury was considered in determining whether he was totally disabled overall. The Judge of Compensation disagreed with Bally’s position and held that when there are two accidents, the first one being a partial total award, the Petitioner could settle for total disability for the second accident and still seek an increase in the future on the award for partial total disability for the first accident. Accordingly, the Judge of Compensation entered an Order increasing Petitioner’s compensable low back disability to 35% partial total (with respondent receiving a credit for the prior 30% award). Bally’s subsequently appealed the decision of the Judge of Compensation. In affirming the decision of the Judge of Compensation, the Appellate Division emphasized the fact that neither Bally’s nor the Second Injury Fund objected when the Judge on November 29, 2010 said that the Petitioner retained the right to reopen his first Claim Petition within two years if his lower back condition worsened. The Court also noted that there was no prior case law precluding the Petitioner from reopening the low back award, notwithstanding the fact that the Petitioner was deemed to be totally disabled under a different claim for his left shoulder injury. Bally’s relied on the case of Taylor vs. Engelhard Industries, 230 N.J. Super. 245 (App. Div. 1989) in support of its argument that the Petitioner could not receive an increase is his award of partial total disability for the low back claim. The Appellate Division distinguished the Taylor case because it only prevented an award of total disability from being modified when it applied to an increase in benefits for the same injury. However, if the Petitioner’s claim for increased benefits is based on a different injury than the one that renders the Petitioner totally disabled, then the Appellate Division concluded that the prior determination of partial total disability for the low back could be modified. Accordingly, the Court concluded that the Petitioner was entitled to apply for and receive an increase in the partial total disability award relating to his lower back, provided that he filed his application for modification within two years from the date when he last received payment and was able to prove increased disability. As a result of the increased award from 30% to 35% partial total for the low back claim, there existed an overlap period wherein the Petitioner was receiving both his increased partial disability award and his total disability benefits from the Second Injury Fund. The payments attributable to the partial disability award for Petitioner’s low back during the overlapping period constituted a compensable pre-existing disability for which the Second Injury Fund was entitled to a credit. The Appellate Division held that this was consistent with the prior holding in Paul v. Baltimore Upholstering Co., 66 N.J. 111 (1974). 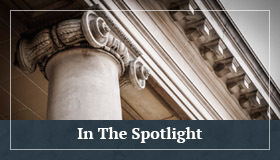 As a consequence of the Appellate Court’s decision, self-insureds and insurance carriers are now subject to having to pay potential increases in prior partial total awards even where a Petitioner is already deemed 100% totally disabled for a subsequent accident. This decision is in direct conflict with the long-held principle in Workers’ Compensation practice which holds that a Petitioner cannot receive additional disability benefits once he has been determined to be totally disabled. Should this decision be upheld by the Supreme Court, Workers’ Compensation claimants would in essence be entitled to receive benefits which exceed his or her total disability, thus opening up self-insureds and insurance carriers to increased exposure on claims which, historically, would have been capped. We will continue to monitor this matter for the New Jersey Supreme Court’s ruling. Catherine M. Shiels, Esq. is a Shareholder in GRSLB&G’s Workers Compensation Department. She defends a wide variety of self-insured and insurance carriers in workers compensation claims brought forth in New Jersey and New York. Cathy can be reached at cshiels@grsl.com. George J. Renzi, Esq. 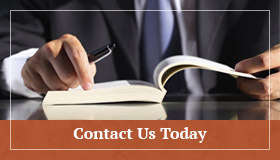 is an Associate in GRSLB&G’s Workers Compensation Department. He defends a wide variety of clients in various of self-insured and insurance carriers in workers compensation claims brought forth in New Jersey. George can be reached at grenzi@grsl.com.